What is it? Read an eBook Day is a celebration of reading stories in a digital format. On Friday, September 16, 2016, everyone is encouraged to pick out an ebook to read. 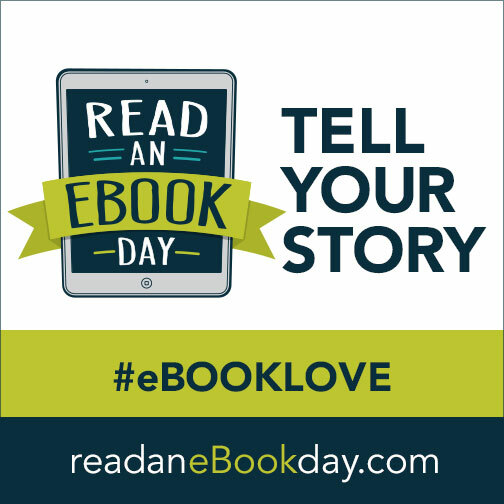 Then share what you read on social media using the hashtag #eBookLove. Overdrive, a digital platform used by public libraries, is participating in the festivities by offering a chance for readers to win a tablet by sharing their love of ebooks. Just join in the conversation on social media with #eBookLove. So get involved, find a great new read, share your love of ebooks, and discover what your local library has to offer. In honor of the occasion, I’m hosting a giveaway of the first two books in my Syracuse mystery series. Try for your chance to win one of twelve ebook copies of Death on Stoneridge or one of twelve ebook copies of Death at Danforth House on Amazon.com beginning Friday, September 16 at 4:00pm. The giveaway is free to enter, but you will need an Amazon account to participate. And should you manage to snag a free copy, consider leaving a review of the book on Amazon.com. I’d love to hear what you think about the Syracuse mystery series. The giveaway has ended. All copies have been claimed. Thanks to the nearly 200 people who participated! I need to get your second book from you.